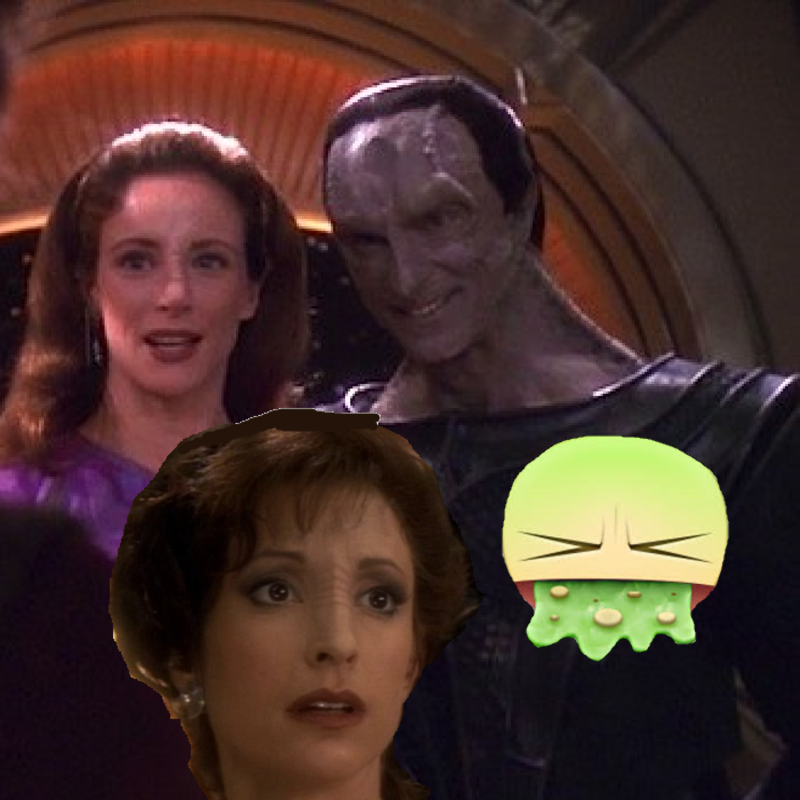 The Terok Nor trilogy is complete, as Sam, Jack, and Kevin dive headfirst into this heavy episode about Major Kira’s mother and her affair with Dukat during the Cardassian occupation. Special guest Jess Cooper brings exciting insight into morality levels of wartime collaborators, Cardassian chauvinism, and bizarre Bajoran dress designs. It’s a heavy episode and a heavy discussion, but that won’t stop us from taking needless detours into discussions about other things like Dragon Ball, Battlestar Galactica, and eating raw beef. Like Kira Meru to Dukat’s charms, you’ll be powerless to this episode, and will willingly give yourself over to its wiles.